Short articles about historical topics. This one's short but interesting. It deals with out friends the Hapsburgs again but on a much lighter topic. The way napkins are folded at Austrian state events is a closely guarded secret that only two people know who pass it on to someone else before they die. It originated during Hapsburg rule in Austria-Hungary in Vienna and is still used sometimes when foreign dignitaries, for example, dine in Vienna with high-ranking government officials. The napkin is displayed in a museum to the public and there are pictures and videos of it online. So it's easy for people to see but no one has been able to figure out how to do it. It's my guess that a lot of people have not tried but the secrecy over a napkin just makes you wonder what other juicy secrets they might have regarding the former royal family in Austria! When I have the chance to write more, I'll discuss one secret that another royal family may have that, if true, is far darker...the story of Kaspar Hauser. I have some more research to finish before I can publish though, and I worked overnight at the restaurant last night so I'm tired and ready to sleep (had a bad day [night?] there too). 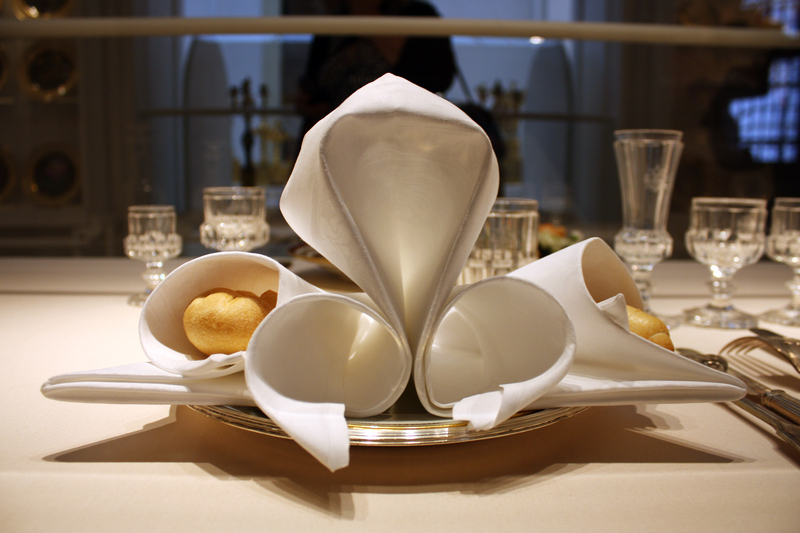 For now, enjoy this short video of the Hapsburg napkin fold! What is the Symbol for the Russian Ruble? I'm a 23 y/o guy who lives in NJ. I work as a waiter (and supervisor to some degree) at a local breakfast food chain restaurant. I live with some great friends. I like to dine out, spend time with family and friends, read, and work (I like my job...something not many people can say). In general, things are pretty good right now!